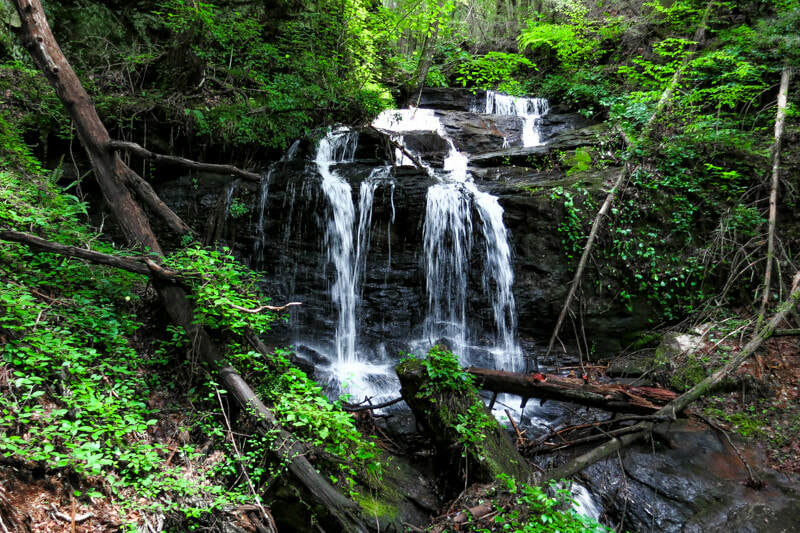 Waterfall Info: This is a small but scenic waterfall on Turninglathe Branch, a tributary of Cane Creek. Access Info: Follow old forest roads from FS 55 (Grassy Gap Road) to reach Turninglathe Branch Falls. The roads can be slightly overgrown in the summer.